Located in western Colorado, Steamboat Springs is an unpretentious (by ski resort standards) old mining town with a western cowboy ambiance masking as a ski town. 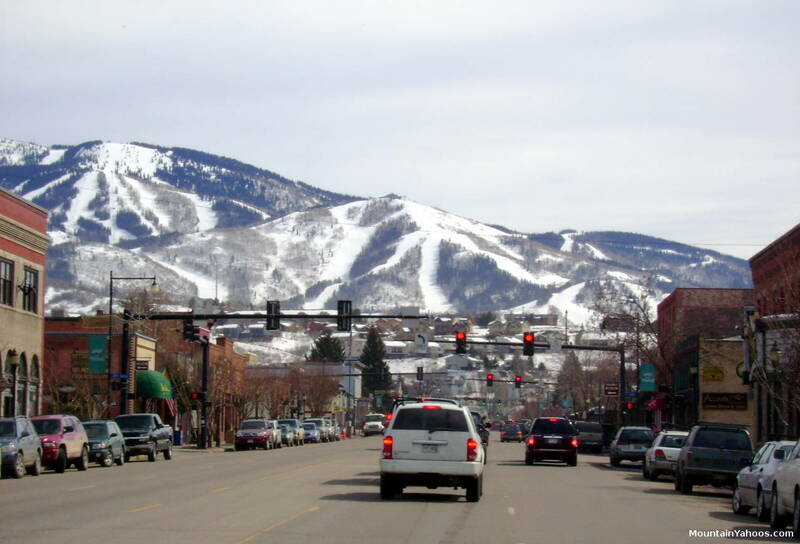 It has both a superb ski mountain and ski town combination. 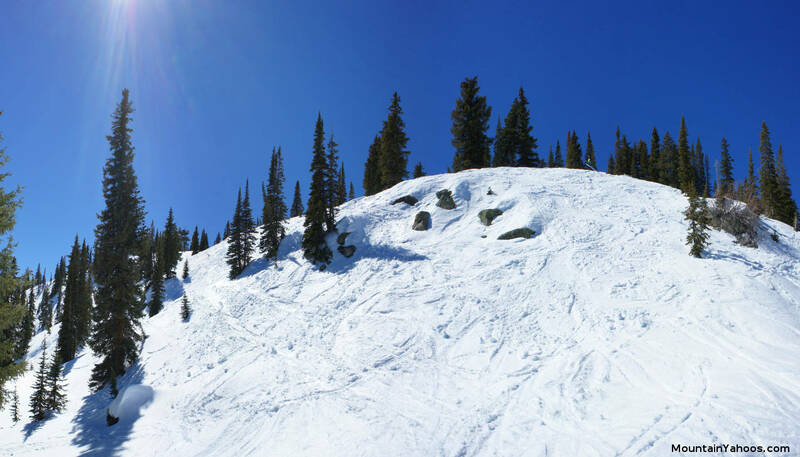 The mountain has a variety of terrain suitable for all levels of skiing with groomed cruisers, steep chutes, mogul runs and wonderful tree glades. 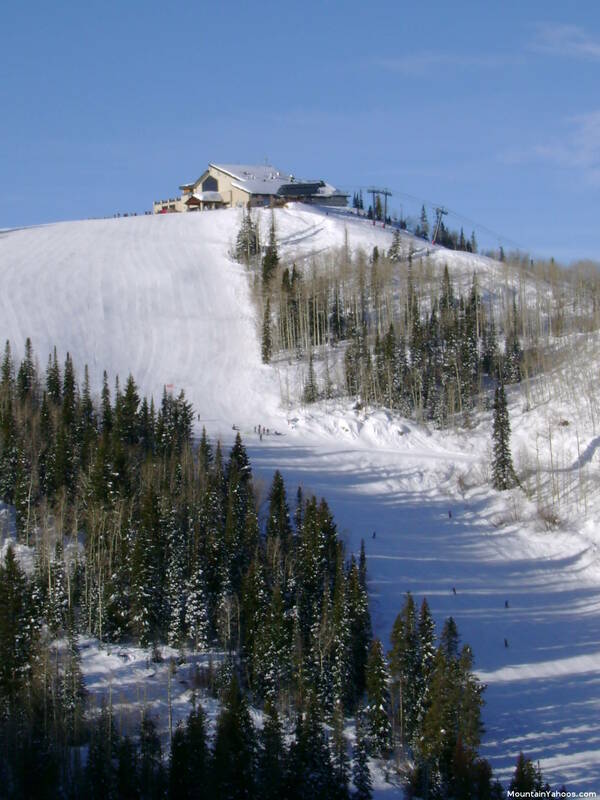 Steamboat is kind to beginners and intermediates with plenty of groomed trails. 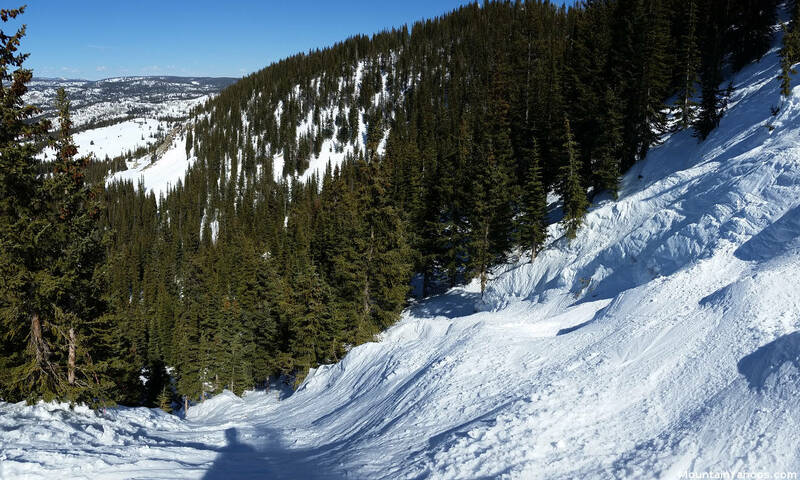 With 42% of the trails dedicated to intermediates this vast mountain should have enough terrain to please an intermediate skier with new cruisers for days. Beginners will not have to venture far for their runs as there are plenty at the base of the mountain with eight short lifts dedicated just to the beginner. 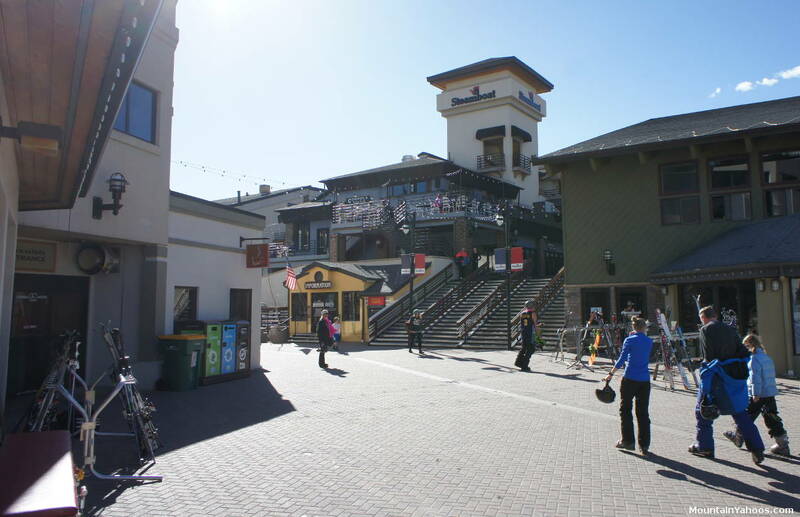 You can walk down the short ski run right into the apres ski bars if you find that it is in any way intimidating. 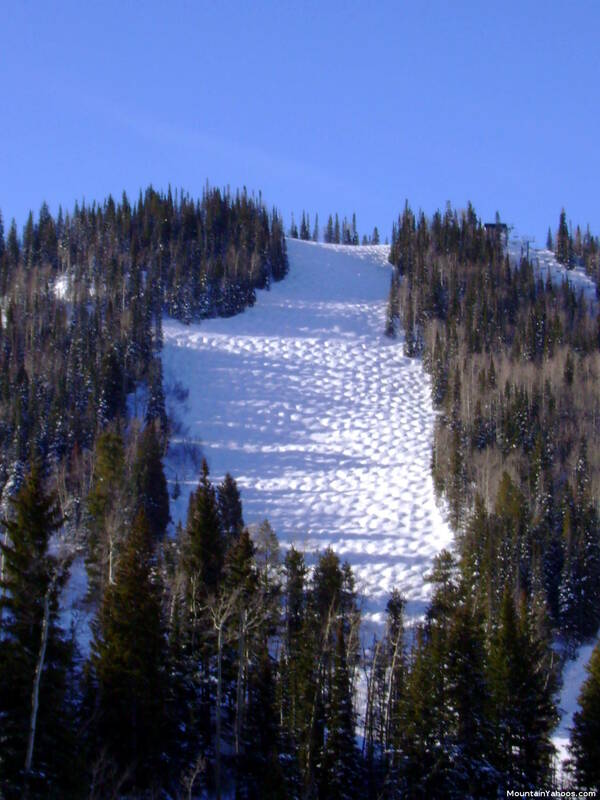 You will find Steamboat's finest mogul runs to be Tornado (shown below), Rolex, 3'Oclock and the runs off of Morningside. The double black diamond "Chute 1", "Chute 2" and "Chute 3" runs are my favorites for steep and narrow challenging runs. To access these chutes take the "Bar-UE" or "Storm Peak" to the top and ski the backside run "Morningside Park" to the "Morningside" lift. The Morningside lift will take you to the top of Chutes 1, 2 and 3. A short hike will allow one to access additional double black diamond terrain: Christmas Tree Bowl, No Names and North St. Pats. This chute was particularly hazardous as it had a significant vertical drop through the trees, just out of sight from this vantage point. Choose a safer alternate route when necessary. Double Black terrain: Chutes 1, 2 and 3 as well as the hike-able trails: Christmas Tree Bowl, No Names and North St. Pats. Morningside Lift is on the back side of the mountain and its peak services this terrain. In order to repeat chute runs one must make their way to the base of Bar-UE to ride that lift, ski the backside to Morningside lift which will then drop you off at the top of the chutes. There is no direct route. North St Pats. These outer trails have very little traffic and often have powder stashes long after a storm. Note that there is a significant flat trail at the bottom in order to get to the Bar-UE lift. 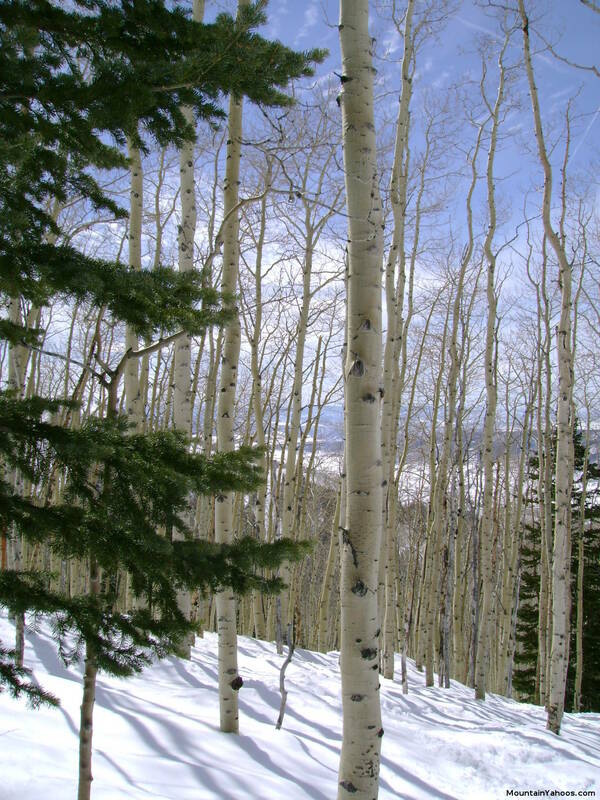 Steamboat has abundant tree runs populated with a mix of Aspen and fir trees. 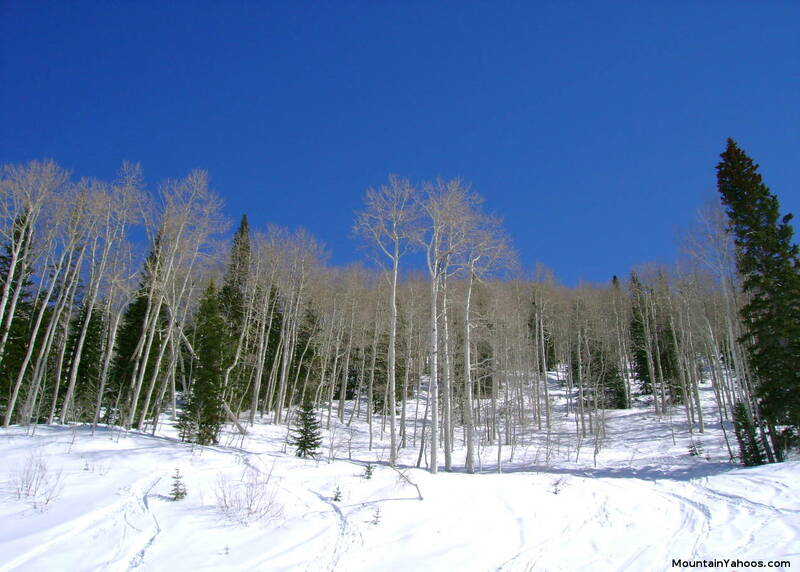 In fact Steamboat is well known for its tree glades and runs. 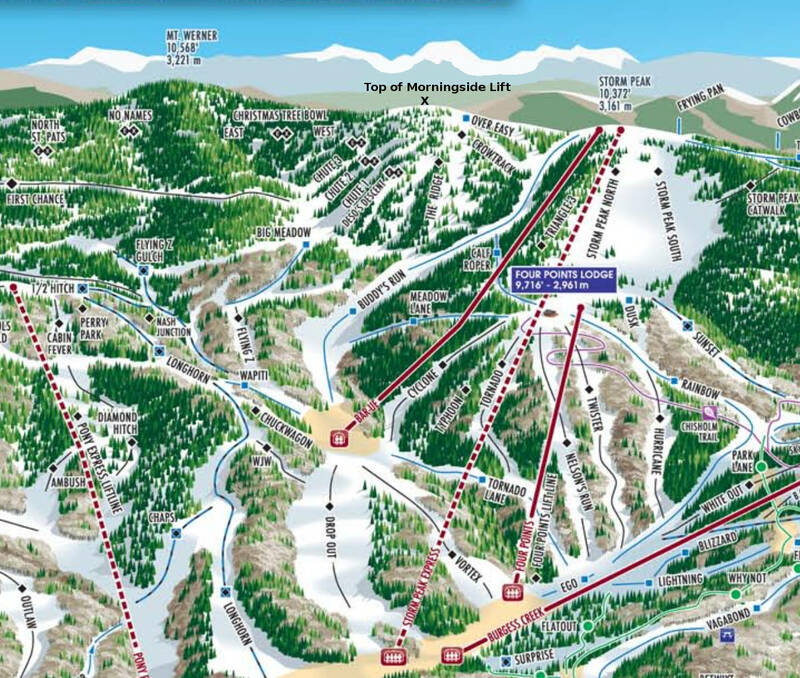 Check out "Big Meadow", "Fetcher Glade" off of the lift "Pony Express" and lower "Shadows" below the "Sundown Express" or "Priest Creek" lift. 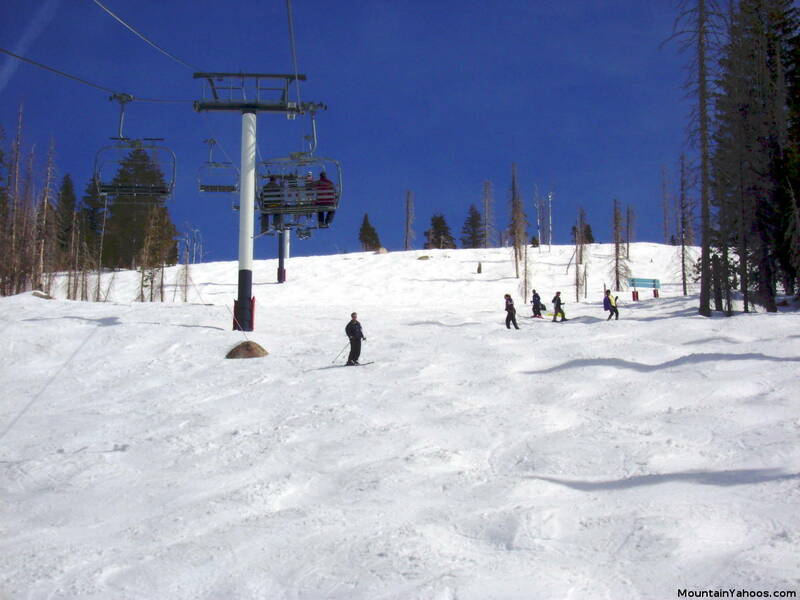 Out of bounds areas are accessible from the top of the "Pony Express" lift. 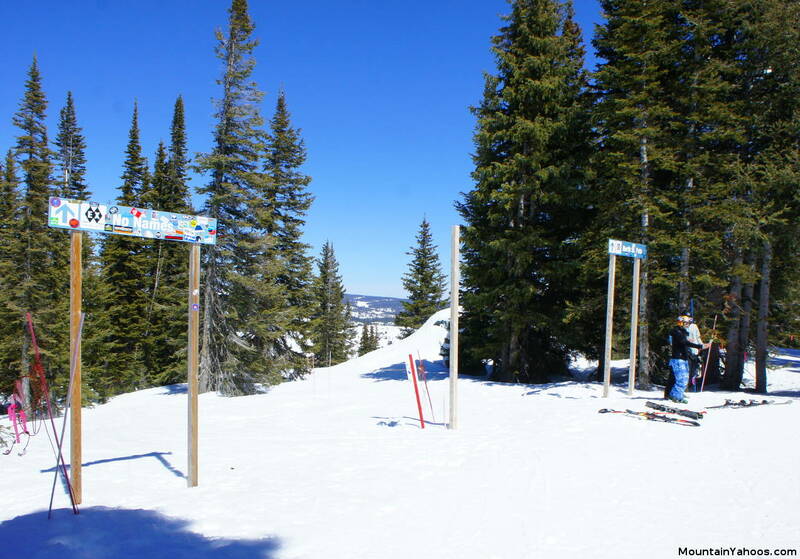 Access gates will be seen if you ski to "skier's right" as you head down the mountain. Out of bounds warning. Access is allowed but you are very much on your own. 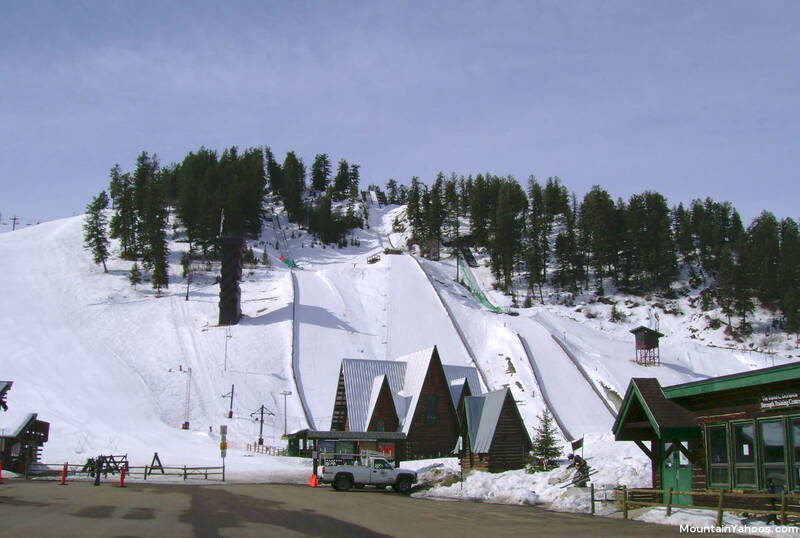 This mountain has a ginormous terrain park, "Maverick's". 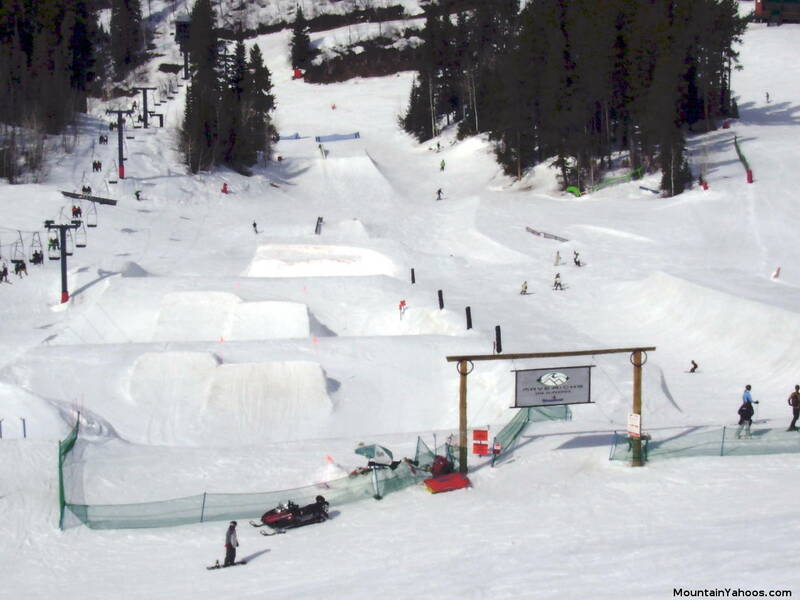 It has the longest superpipe I've even seen, 650ft long and 50ft wide with 15ft walls. 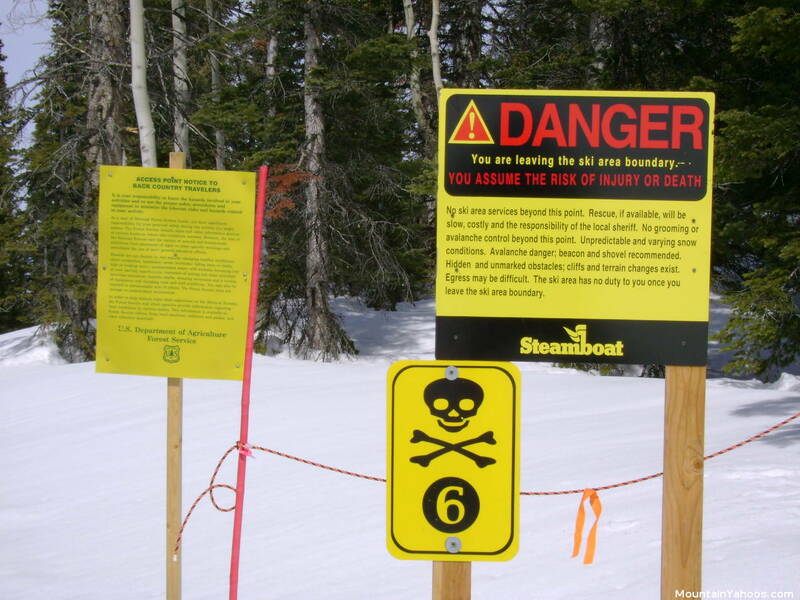 I believe that most boarders will enjoy the terrain at Steamboat more than the snowboard parks. 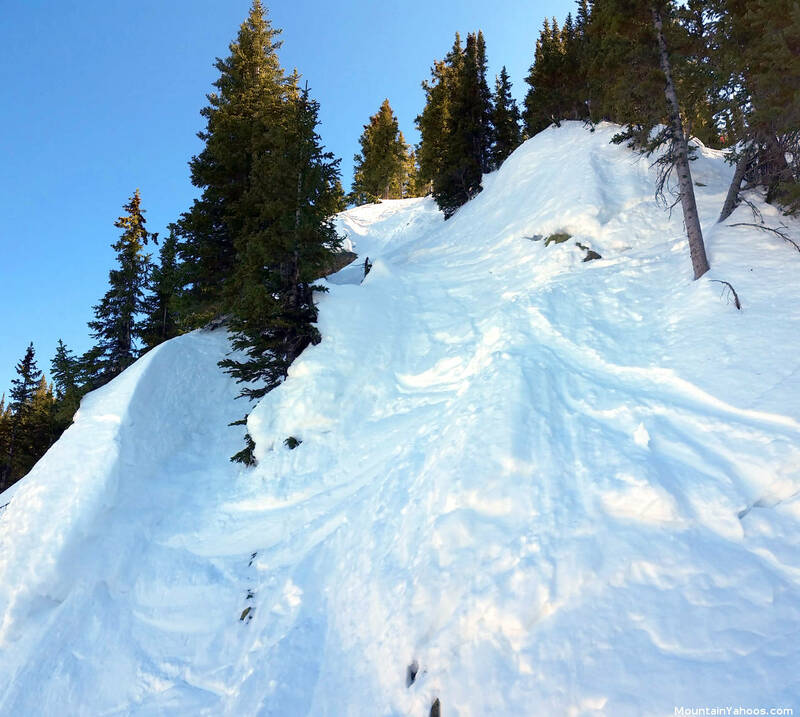 Located in town off of Lincoln Avenue on the western bank of the Yampa river, this ski jump training facility is serviced by a single lift and hosts three jumps. 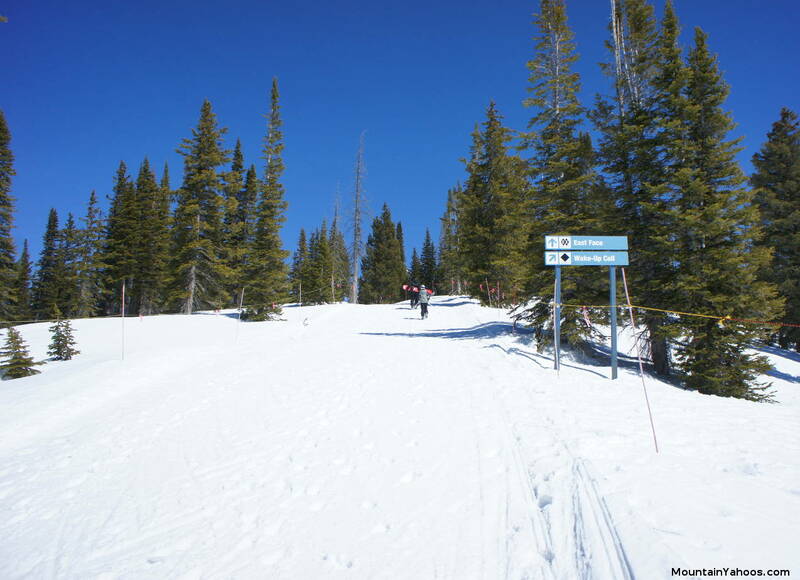 Historical note: It is the oldest operating ski area in Colorado. 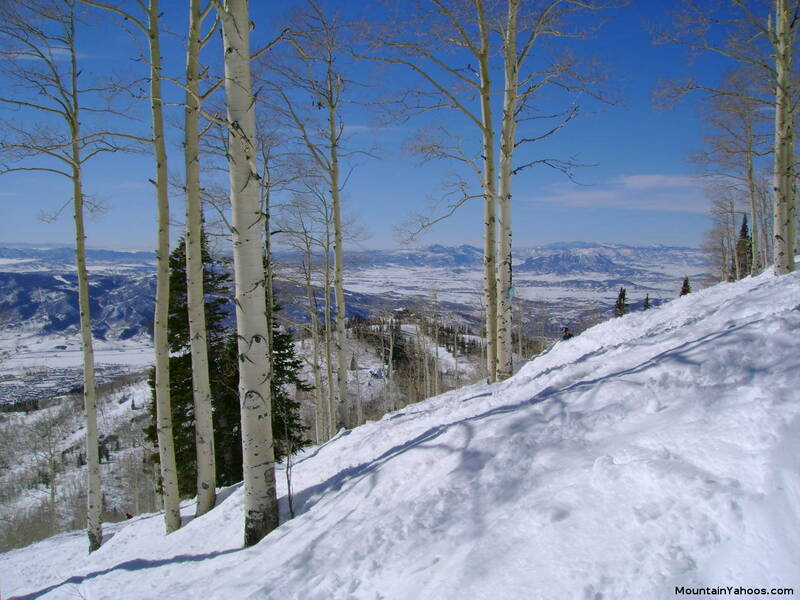 The Steamboat Ski Touring Center has 10 km of beautiful forested cross country ski and snowshoe trails. The rental shop can provide you with all the ski equipment you need. 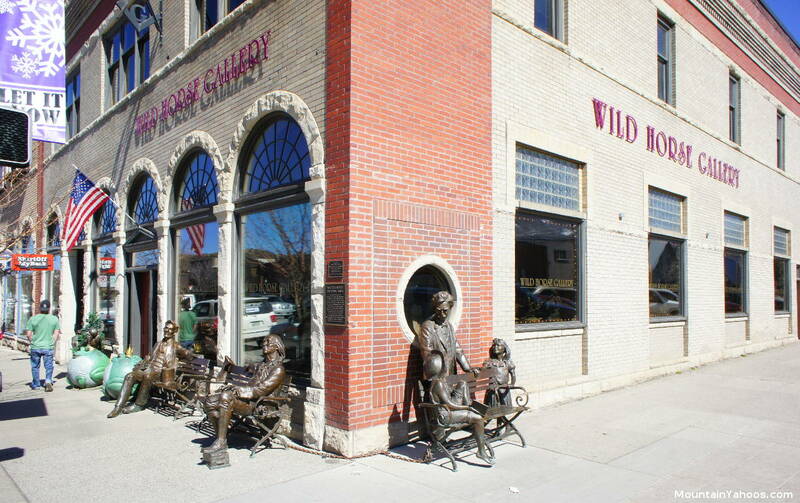 Steamboat has it all, a wonderful town and base village. 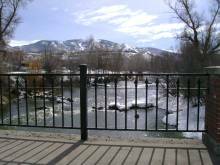 While the base ski village has shops and restaurants, check out the town of Steamboat Springs Colorado for a broader range of choices. Shopping is most plentiful on Steamboat Spring's main street, Lincoln Ave.
Lincoln Avenue (Hwy 40), the main road through town.